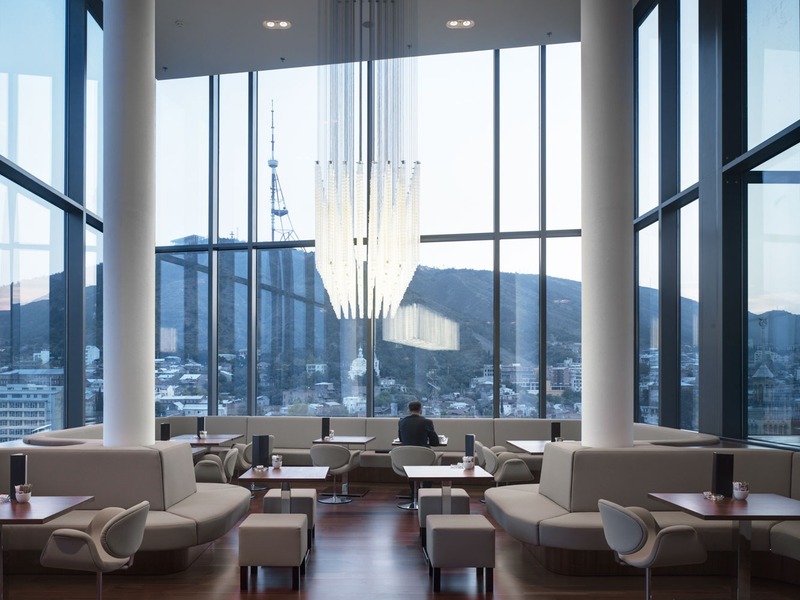 a man having a lonely breakfast in the iveria hotel in tbilisi. tbilisi, formerly known as tiflis, is the capital and the largest city of georgia, lying on the banks of the kura river. the hotel was built in 1967 by the soviet government as the premier luxury hotel of the georgian soviet socialist republic. as a result of the war in abkhazia in 1992, the hotel became a refugee camp housing more than 800 refugees. in 2004 the refugees were removed from the hotel. the dilapidated hotel was stripped down to its steel structural frame and completely rebuilt as a modern luxury business hotel. It reopened in 2009 as the radisson blu iveria hotel.